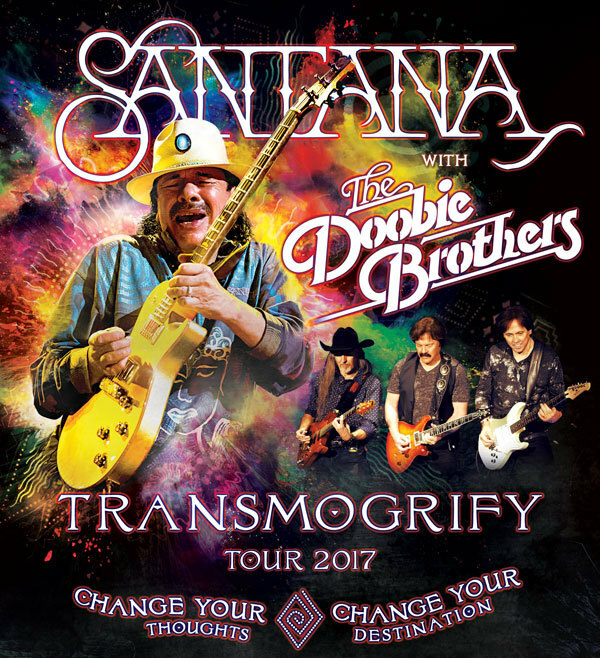 The Doobie Brothers will join Santana as Special Guests on his April 2017 Tour, adding to both artist’s already announced appearances on the mammoth bill for the 28th Annual Bluesfest in Byron Bay. The tour will kick off at Perth Arena on Friday 7th April before heading to Adelaide’s Botanic Park on Sunday 9th April, Melbourne’s Rod Laver Arena on Tuesday 11th April, Sydney’s Qudos Bank Arena on Thursday 13th April and wrap up in the nation’s capital on Saturday 15th April at the Royal Theatre. The Doobie Brothers will be playing their own intimate one-off shows at The Tivoli in Brisbane on Sunday 16th April and TSB Bank Arena in Wellington Thursday 20th April. Tickets are on sale Tuesday 29th November at 12 noon local time.